To celebrate Nickelodeon USA premiering the brand-new Power Rangers Dino Super Charge episode "Love at First Fight" on Saturday 3rd September 2016 at 12:00pm ET/PT, Nick USA has unveiled a fantastic sneak peek preview from the all-new PRDSC episode, which you can watch in the super online streaming video clip here on Nick.com! In the brand-new Power Rangers Dino Super Charge episode "Love at First Fight" (#611), Poisandra's (Jackie Clarke) magic paint and brush are exactly what Beauticruel (Marissa Stott) needs to make any guy she desires fall in love with her. Meanwhile, Heckyl (Ryan Carter) devises a plan to make the Rangers fall in love with her so he can steal their Energems! In Nickelodeon's super sneak peek, "New Boyfriend", watch as Tyler (Brennan Mejia) fall in love with a girl who has a love spell on her from lovery dovey make up! Missed Saban's first super sneak peek preview from the all-new Power Rangers Dino Super Charge episode "Love at First Fight"? Watch it here on NickALive!. 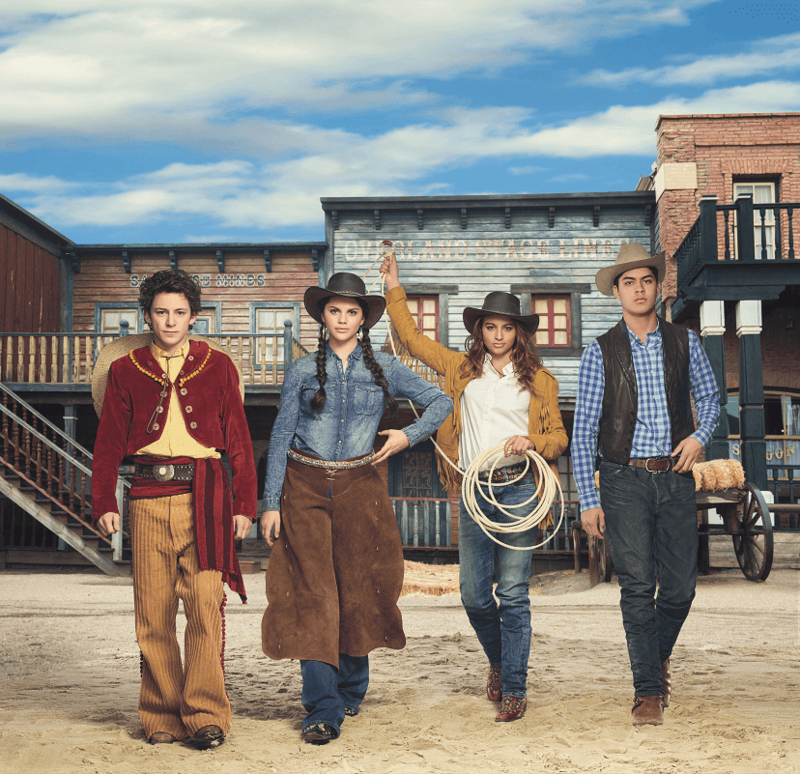 Nickelodeon Spain has announced the exciting news in a trailer on their official website, nick.es, that Nickelodeon Spain (Espana) and Nickelodeon Portugal (collectively known as Nickelodeon Iberia) will premiere the first part of Nickelodeon's brand-new three-part original TV movie, Lost in the West, on Friday 9th September 2016! Saddle up for a Wild West adventure in Nickelodeon's all-new three-part original TV movie, Lost in the West! The film, locally titled Perdidos En El Oeste in Spain, centres on polar opposite stepbrothers, Chip, an all-around tech genius who lacks self-confidence, and Dave, a charismatic ladies' man with more brawn than brains. Their otherwise ordinary lives take an extraordinary turn when Chip's latest invention accidently lands them back in time to 1885 - the Wild West - the age of cowboys, cattle ranching and evil outlaws. The duo soon become entangled in a thrilling adventure as they fight off evil outlaws to save their hometown. When their actions in the past have time-altering repercussions, Chip and Dave enlist the help of friends from both time periods, including Luna, Lisa and Texas Jane, so they can avoid changing the future and make it back to the present in time for their school's Homecoming Dance. The boys will need to master the ways of the west, from horse riding to lassoing, to find their way back home! Lost in the West stars Caleb Thomas (Chase Champion, Modern Family) as Chip, Niko Guardado (Nicky, Ricky, Dicky & Dawn) as Dave, Fallon Smythe as Lisa and Morgan Higgins as Texas Jane, and features an appearance by House of Anubis (Misterio en Anubis/A Casa de Anubis) star Alex Sawyer. Follow NickALive! on Twitter, Tumblr, Google+, via RSS, on Instagram, and/or Facebook for the latest Nickelodeon Iberia and Lost in the West News and Highlights! Trios of brainiacs aged 11-16 (Grades 6-10) are clamouring to sign up for the brand new season of Nickelodeon’s Genius, testing their maths and science know-how to the limit – as they battle for the mind-blowing title of “Nickelodeon’s Genius” 2017. “We want to start educating the youth of South Africa and other young people about managing their finances, from an early age. This is a great initiative to involve the youth in a fun and interactive way that ultimately lays a positive foundation for understanding the way money works and making it work for them” says Yolande Steward General Marketing Manager for Retail Banking at ABSA. Sign up now by completing the Nickelodeon’s Genius quiz at www.nickelodeonafrica.com – you have just 2 minutes (and three attempts, maximum) to complete 10 questions to get you through to the next stage! Regional workshops for the top 30 qualifying teams will take place in Gauteng South, Gauteng North (Tshwane), Bloemfontein, KwaZulu-Natal, Western Cape and the Eastern Cape starting August 2016 before the top 2 teams from every region go through to the Grand Final in Johannesburg in 2017. All adds up to an amazing prize – a 100,000 ZAR Mega-U account for each of the winning team members, plus an awe-inspiring trip to the Kennedy Space Centre in Florida, USA, where the winners will lunch with a NASA astronaut, enjoy a simulated shuttle launch and participate in an astronaut training session. They will also be treated to a visit to the Universal Orlando Theme Park where they will be enjoy thrilling themed rides and experiences including Spiderman, Shrek, Jurassic Park, Minion Mayhem and a tour of The Wizarding World of Harry Potter! Initial highlights of Nickelodeon’s Genius regional heats and workshops will air on NickToons (DStv channel 308) from December 2016, while the quiz show will air on NickToons from March 2017. For more information on the GENIUS quiz show, please log on to www.nickelodeonafrica.com, like Nickelodeon on Facebook or follow Nickelodeon on Twitter @NickAfrica using the hashtag #GENIUS. Nickelodeon’s Genius is a fun science and maths quiz from kids and family experts Nickelodeon designed to engage school age kids in Maths and Science. The first season of Nickelodeon’s Genius took place on 2013 and was won by Rameez Chicktay (13), Amin Banderker (13) and Kayur Ranchod (13) from The Grove Primary School in Grove Park, Western Cape. Nickelodeon’s Genius is open to South African kids aged 11-16 (Grades 6-10). To sign up for the competition go to www.nickelodeonafrica.com. For full terms and conditions please go to http://www.nickelodeonafrica.com/news/nickelodeon-genius-powered-by-absa-terms/9dap02/. Follow NickALive! on Twitter, Tumblr, Google+, via RSS, on Instagram, and/or Facebook for all the latest Nickelodeon Africa and Nickelodeon's Genius News and Highlights! 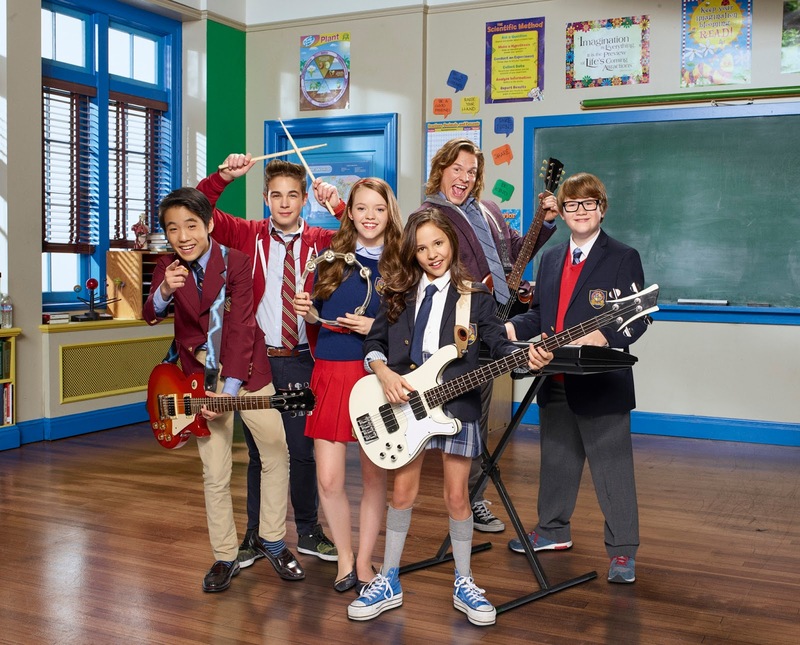 Tweet it: Rock on with @nickelodeontv’s new live-action series “School of Rock” premiering in Asia on 7 Oct! SINGAPORE, 31 AUGUST 2016 – A group of overachieving prep school students band together and learn to rock out when they meet their new, unconventional substitute teacher in Nickelodeon’s highly anticipated live-action comedy series School of Rock, premiering in Asia on Friday, 7 October at 5pm (TH) and 6pm (HK/PH/SG). The series, produced with Paramount Television, will continue to air on weekdays starting Monday, 17 October at 3.30pm (TH), 4.30pm (HK/SG) and 8pm (PH). Nickelodeon Play app users in Singapore can watch the first two episodes for free from Monday, 5 September. School of Rock follows a group of rule-abiding students — Zack (Lance Lim), Lawrence (Aidan Miner), Freddy (Ricardo Hurtado), Summer (Jade Pettyjohn) and Tomika (Breanna Yde) — who learn to take risks and reach new heights thanks to substitute teacher Dewey Finn (Tony Cavalero), a down-on-his-luck musician who uses the language of rock ‘n’ roll to inspire his class to form a secret band. Throughout the school year, these middle-school classmates find themselves navigating relationships, discovering their unknown talents and learning lessons on loyalty and friendships. The series features guest appearances from Pete Wentz (Fall Out Boy), Kendall Schmidt (Big Time Rush) and Kira Kosarin (The Thundermans). Episodes will include musical performances by the cast covering hits “What I Like About You” (The Romantics),“Lips Are Movin” (Meghan Trainor), “The Kids Are All Right” (The Who), “We’re Not Gonna Take It” (Twisted Sister), “Shut Up and Dance” (WALK THE MOON), “Heart Attack” (Demi Lovato) and more. From Friday, 23 September, fans can access additional content such as musical games, quizzes, and more at www.nick-asia.com/schoolofrock. Nickelodeon is one of the most globally recognized and widely distributed multimedia entertainment brands for kids and family. It has built a diverse, global business by putting kids first in everything it does. The company’s portfolio includes television programming and production around the world, plus special events, consumer products, digital offerings, recreation, books, feature films and pro-social initiatives. Nickelodeon's brands reach 1.1 billion cumulative subscribers in more than 160 countries and territories, via more than 80+ locally programmed channels and branded blocks. Outside of the United States, Nickelodeon is part of Viacom International Media Networks, a division of Viacom Inc. (NASDAQ: VIAB, VIA), one of the world’s leading creators of programming and content across all media platforms. For more information about Nickelodeon in Asia, visit www.nick-asia.com. Viacom International Media Networks (VIMN), a unit of Viacom Inc. (NASDAQ: VIAB, VIA), is comprised of many of the world's most popular multimedia entertainment brands, including MTV, MTV LIVE HD, Nickelodeon, Nick Jr., Comedy Central, Paramount Channel, and more. Viacom brands reach more than 3.4 billion cumulative subscribers in 180+ countries and territories via more than 200 locally programmed and operated TV channels and more than 550 digital media and mobile TV properties, in 40 languages. Keep up with VIMN news by visiting the VIMN PR Twitter feed at www.twitter.com/VIMN_PR. For more information about Viacom and its businesses, visit www.viacom.com, blog.viacom.com and the Viacom Twitter feed at www.twitter.com/Viacom. Follow NickALive! on Twitter, Tumblr, Google+, via RSS, on Instagram, and/or Facebook for the latest Nickelodeon Asia and School of Rock News and Highlights! Nick Jr., Life Like Touring and VStar Entertainment Group today announced the first tour stops for PAW Patrol Live! “Race to the Rescue”, a music-filled adventure featuring more than a dozen characters on stage from the hit animated pre-school series PAW Patrol, produced by Spin Master Entertainment. From Monday, 12 September 2016 at 11am, Australian audiences can purchase tickets at www.pawpatrollive.com.au. Fans who sign-up to be first in line at www.lifeliketouring.com will have access to pre-sale tickets from Tuesday, 6 September. PAW Patrol Live! “Race to the Rescue” is an action packed, high-energy adventure featuring catchy music that is set around the day of the Great Race between Adventure Bay’s Mayor Goodway and Foggy Bottom’s Mayor Humdinger. The drama unfolds when the race is about to begin; Mayor Goodway is nowhere to be found. Ryder summons Marshall, Chase, Skye, Rubble, Rocky, Zuma, and the newest pup, Everest, to rescue Mayor Goodway and to run the race in her place. The show combines stunning theatrical scenery set against a high-tech video wall to visually transport families to popular locations from the TV series such as Adventure Bay, The Lookout, Seal Island, Farmer Yumi’s Farm and Jake’s Mountain. VStar Entertainment, who are the world’s leading creators of theatrical puppets, have taken an innovative approach to bringing the pups, amazing vehicles and packs to life on stage. "We are thrilled to partner with VStar Entertainment Group and Life Like Touring to bring Paw Patrol Live! to families across Australia. This unique stage production promises adventure at every turn, as the audience works together to help our heroic pups save the day." said Thomas Kingsley, Senior Manager, Recreation Business Development Nickelodeon. The show is highly interactive and the audience will have a completely unique opportunity to participate in the adventure and become a part of the PAW Patrol Cheer Team! “We can’t wait to bring Nick Jr.’s hit show and its much loved characters to life for our many pre-school fans in Australia. 2017 is going to be a huge year for our rescue pups!” said Jihee Nam, General Manager, Nickelodeon Networks, Australia and New Zealand. The show runs for 1 hour and 20 minutes (across two acts and an intermission). For more information on additional tour stop announcements, visit www.pawpatrollive.com.au www.facebook.com/pawpatrollive/ or by using #pawpatrollive to search on social media. About PAW Patrol: Nickelodeon’s PAW Patrol animated series stars a pack of heroic rescue pups – Chase, Marshall, Rocky, Rubble, Zuma, Skye and the newest pup Everest – who are led by a tech-savvy boy named Ryder. Together, they work hard to show the people of Adventure Bay that “no job is too big, no pup is too small!” Produced by Spin Master Entertainment, the series on Nick Jr. features a curriculum that focuses on citizenship, team building, social skills and problem-solving. The PAW Patrol pre-school series has reached 4million viewers on Nick Jr. in 2016 and is the #1 licensed pre-school brand in Australia (NPD Australia June 2016, YTD). VStar Entertainment Group is one of the World’s leading multi-concept media and entertainment platforms and producer of family-friendly consumer shows and events, with an extensive background presenting and promoting more than 36,000 performances worldwide over the past 35 years. Headquartered in the Twin Cities, VStar Entertainment Group was founded in 2015 following an acquisition of VEE Corporation, one of the most experienced and respected names in family-friendly entertainment, and Blue Star Media, a leader in event production and promotion. VStar Entertainment Group also provides turnkey, in-house solutions for agencies, brands, corporations and marketing experts serving the event, sports and experiential industries. For more information, including current touring shows and a complete list of service offerings, please visit www.VStarEntertainment.com. Life Like Touring: Based in Melbourne, Australia, Life Like Touring has written, produced and toured live shows for some of the most popular children’s brands for more than 10 years, including Ben and Holly, Chuggington, Dora the Explorer, Peppa Pig, Octonauts, Sesame Street, Scooby-Doo and Yo Gabba Gabba! Life Like Touring productions have been seen in all major cities around Australia and New Zealand, as well as Africa, Asia, Europe, the Middle East, North America and South America. Life Like Touring productions are best known to entertain toddlers, pre-schoolers and their young siblings, in the beautiful surrounds of a traditional theatre. In more recent times they have produced a variety of theatrical and themed experiential entertainment designed for the whole family to enjoy together. Life Like Touring, together with their sister company, The Entertainment Store, have worked for some of the world’s biggest entertainment companies, including Cartoon Network, Disney, Entertainment One, Nickelodeon, Mattel and Warner Bros. Most recently, Life Like Touring and The Entertainment Store were acquired by TEG Live, and became part of Australia’s leading integrated live entertainment solutions company with superior capabilities in ticketing, digital, data and the promotion of live sport and entertainment. Follow NickALive! on Twitter, Tumblr, Google+, via RSS, on Instagram, and/or Facebook for the latest Nickelodeon Australia & New Zealand and PAW Patrol News and Highlights! For more juicy gossip and daily news visit thescoop.nick.co.uk and tune into Nick At Nite weeknights from 7pm, only on Nickelodeon UK & Eire, plus, visit comedycentral.co.uk/friendsfest for all the deets about Comedy Central UK's FriendsFest tour! 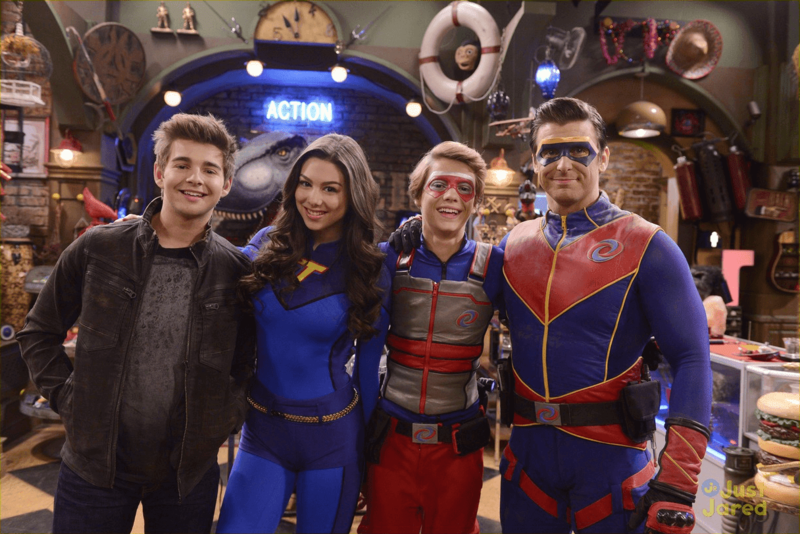 More Nick: Nickelodeon UK To Premiere "The Thundermans" And "Henry Danger" Crossover Special "Danger & Thunder" On Friday 9th September 2016! Follow NickALive! on Twitter, Tumblr, Google+, via RSS, on Instagram, and/or Facebook for all the latest Nickelodeon, Henry Danger and The Thundermans News and Highlights! In the brand-new Power Rangers Dino Super Charge episode "Love at First Fight" (#611), Poisandra's (Jackie Clarke) magic paint and brush are exactly what Beauticruel (Marissa Stott) needs to make any guy she desires fall in love with her. Meanwhile, Heckyl (Ryan Carter) devises a plan to make the Rangers fall in love with her so he can steal their Energems! More Power Rangers: First Look At "Power Rangers Ninja Steel"; To Premiere On Nickelodeon USA In January 2017! Additional sources: Zap2it TV Listings, RangerWiki. SLIMEFEST is coming to the UK, and bringing an array of amazing acts like The Tide, Diversity, Conor Maynard, and Aston Merrygold, along with special appearances from The Thundermans stars Jack Griffo and Kira Kosarin, vlogger Roxxsaurus, Nick Kicks presenter Roman Kemp, and SLIMEFEST hosts Jordan Banjo and Perri Kiely! It's all happening on Saturday September 3rd in Blackpool! Visit http://www.nick.co.uk/slimefest for more information and tickets! Follow NickALive! on Twitter, Tumblr, Google+, via RSS, on Instagram, and/or Facebook for the latest Nickelodeon UK and SLIMEFEST UK News and Highlights! More Nick: Nickelodeon Greece To Premiere "Yo-Kai Watch" On Saturday 3rd September 2016! For more juicy gossip and daily news visit thescoop.nick.co.uk and tune into Nick At Nite weeknights from 7pm, only on Nickelodeon UK & Eire, plus, visit nick.co.uk/slimefest for all the deets about Nickelodeon's First-Ever UK SLIMEFEST! Follow NickALive! on Twitter, Tumblr, Google+, via RSS, on Instagram, and/or Facebook for the latest Nickelodeon Kids' Choice Awards 2016 News and Highlights! More Yo Soy Franky: Nickelodeon are making a English version of Yo Soy Franky, titled I Am Frankie! To celebrate Nickelodeon USA premiering the brand new Teenage Mutant Ninja Turtles season four episode "Mutant Gangland" on Sunday 4th September 2016 at 11:00am ET/PT, Nick USA has unveiled a Turtley Awesome sneak peek preview from the all-new episode, which you can watch in the fantastic online streaming video clip here on Nick.com! Booyakasha! In the brand-new Teenage Mutant Ninja Turtles episode "Mutant Gangland" (#418), Don Vizioso's gang tracks the Turtles with a bunch of anti-mutant weapons. 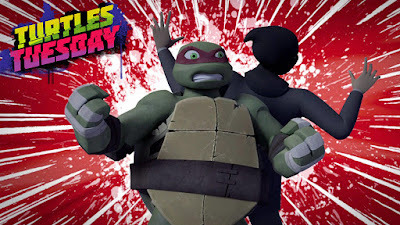 In Nick's super sneak-peek, "The Set Up", the robbers set up Raphael to get to the rest of the turtles! Who do you think will win? Nickelodeon Russia (Россия) has unveiled their upcoming programming highlights for the Autumn/Winter 2016 season, packed full of brand-new shows, all-new episodes, popular movies, social projects and more! During the Autumn/Winter 2016 programming season, Nickelodeon Russia will premiere more than 290 episodes of the best global content for kids of all ages, in full compliance with one of the key principles of the channel - "glocalization". According to TNS Россия TV Index Plus, Nickelodeon was the leading kids television channel for two consecutive months over May and June 2016, helped by Nickelodeon's hit programming. School of Rock (Школа Рока) follows the gifted students of William B. Travis Prep School, who get lesson of a lifetime when, after their teacher suffers an unfortunate skateboarding spill, Mr. Finn, a down-on-his-luck musician, steps in. Little do the group of overachieving rule-abiding students know - their new substitute actually rocks! With their musical talents combined, this class of classically-trained musicians forms a band complete with headbanging beats and face-melting solos. But if they want to live the rock star life, they'll have to band together, take risks and rock out to reach new heights all whilst keeping the whole thing a secret. Throughout the school year, these middle-school classmates find themselves navigating relationships, discovering their unknown talents and learning lessons on loyalty and friendships. With Mr. Finn's help, they'll discover that working together isn't just cool, it rocks! School of Rock stars Lance Lim (Growing Up Fisher) as Zack (Зак), Aidan Miner (Nickelodeon Creative Lab's Legendary Dudas (formally Homeroom)) as Lawrence (Лоренс), Ricardo Hurtado as Freddy (Фредди), Jade Pettyjohn (Henry Danger/Опасный Генри) as Summer (Саммер), Breanna Yde (The Haunted Hathaways/Призраки дома Хатэвэй) as Tomika (Томика), and Tony Cavalero (Splitting Adam/Расщепление Адама) as Mr. Dewey Finn (Мистер Финн). 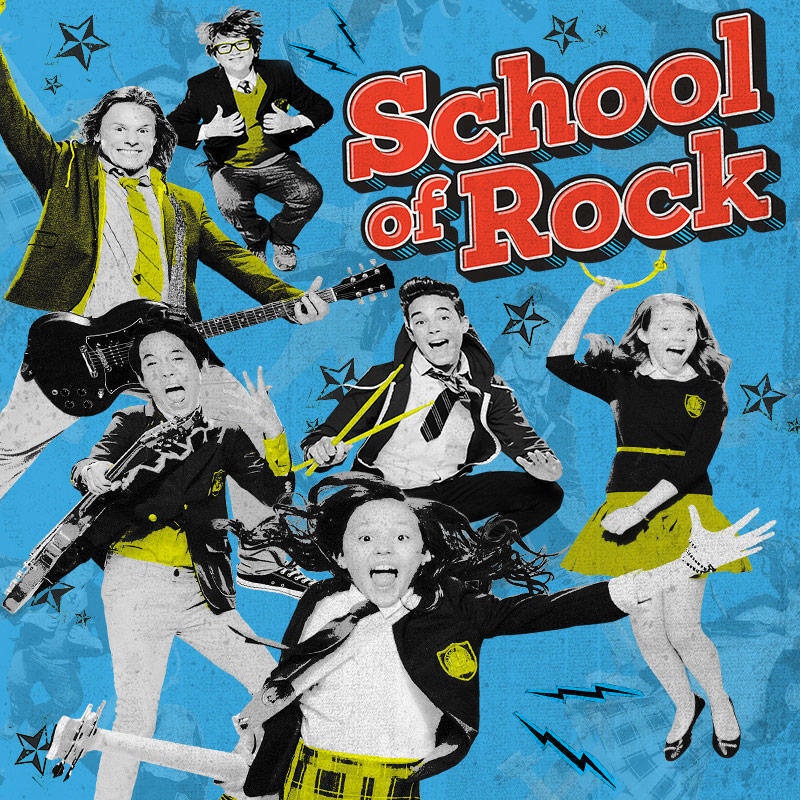 Inspired by the hit movie of the same name, School of Rock is developed by Jim and Steve Armogida (Crash & Bernstein, Grounded for Life), who also serve as Executive Producers with Jay Kogen (The Simpsons, Henry Danger). The 2003 movie of the same name was written by Mike White. Its director Richard Linklater and producer Scott Rudin serve as series Executive Producers, along with Eli Bush (The Newsroom, Ex Machina). Regal Academy (Королевская Академия) is a brand-new funny and exciting animated series (26 episodes X 26') featuring a mixture of comedy, music and innovative animation techniques. The new show takes the familiar world of fairy tales and turns it upside down by adding a delicious and charming twist. The action takes place through the eyes of Rose Cinderella, a average teenage girl who's as obsessed with shoes as she is fairy tales. But when she finds a key that unlocks a magical new world, she learns that fairy tales are not just in storybooks! When Rose tumbles into Fairy Tale Land, she discovers something even greater--her own magical family legacy! Her grandmother Cinderella is headmistress of Regal Academy, where five famous fairy tale families come together to teach the next generation of princes and princesses how to become heroes... with a lot of help from their legendary grandparents. 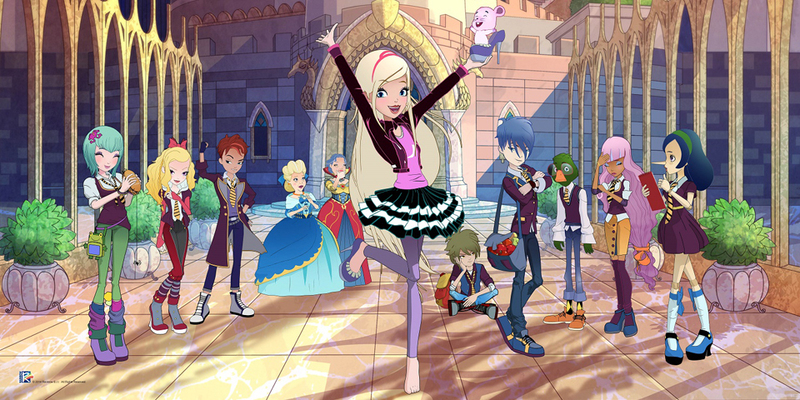 Created and produced by Rainbow in collaboration with Rai Fiction, Regal Academy premiered in Italy last May on Rai YoYo and has been sold in more than 120 countries. 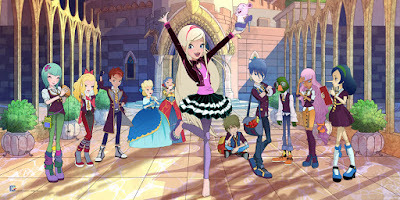 Nickelodeon acquired the global broadcast rights To Regal Academy in October 2015. Ride (Верхом) follows the adventures of Katherine “Kit” Bridges when she and her Dad, Rudy, move to England for his new job at Covington Academy, an elite equestrian boarding school. Life at a new school is never easy – particularly when you are afraid to ride – but Kit will be able to handle any challenge she faces thanks to her new friend, TK….who just so happens to be the most stubborn and difficult horse at the Academy! Ride stars Kendra Timmins (Degrassi: The Next Generation) as Kit, Jonny Gray (Max & Shred) as Josh, Rameet Rauli as Anya, Oliver Dench as Will, Manuel Pacific as Nav, and Alana Boden (Wolfblood, Mr Selfridge) as Elaine. Commissioned by Nickelodeon and YTV and produced by Canada's Breakthrough Entertainment and the UK's Buccaneer Media, the 20x30-minute show, formally titled Let It Ride, is created by Jill Girling (Life with Derek) and Lori Mather-Welch (Would Be Kings, Queer As Folk). Executive producers for Breakthrough are Joan Lambur, Ira Levy, Peter Williamson, Michael McGuigan, Nat Abraham and Shelley Scarrow. Tony Wood (House of Anubis) is executive producing for Buccaneer. The series was cast by KM Casting. The series was filmed in Toronto and on location in Northern Ireland. Battle Prank (Битва пранков, working title; Rank The Prank) is a brand-new entertainment series in which two prank-loving kids are each teamed up with a Hollywood special effects master, to perform an incredible hidden-camera prank on the unknowing public! In a bid to out-prank each other, the child who pulls off the highest ranking prank will win a prize! Saddle up for a Wild West adventure in Nickelodeon's all-new three-part original TV movie, Lost in the West (На Диком Западе)! The film centres on polar opposite stepbrothers, Chip, an all-around tech genius who lacks self-confidence, and Dave, a charismatic ladies' man with more brawn than brains. Their otherwise ordinary lives take an extraordinary turn when Chip's latest invention accidently lands them back in time to 1885 - the Wild West - the age of cowboys, cattle ranching and evil outlaws. The duo soon become entangled in a thrilling adventure as they fight off evil outlaws to save their hometown. When their actions in the past have time-altering repercussions, Chip and Dave enlist the help of friends from both time periods, including Luna, Lisa and Texas Jane, so they can avoid changing the future and make it back to the present in time for their school's Homecoming Dance. The boys will need to master the ways of the west, from horse riding to lassoing, to find their way back home! 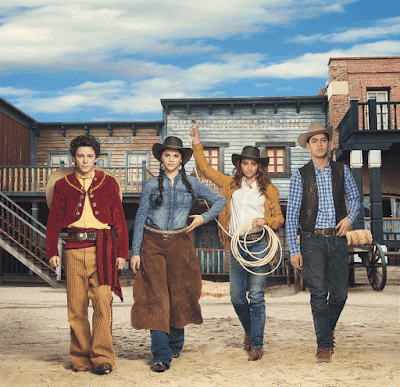 Lost in the West stars Caleb Thomas (Chase Champion, Modern Family) as Chip, Niko Guardado (Nicky, Ricky, Dicky & Dawn/Никки, Рикки, Дикки и Дон) as Dave, Fallon Smythe as Lisa and Morgan Higgins as Texas Jane, and features an appearance by House of Anubis (Обитель Анубиса) star Alex Sawyer. Nickelodeon Россия will premiere Lost in the West part one on Sunday 11th September 2016, Lost in the West part two on Sunday 18th September 2016, and Lost in the West part three on Sunday 25th September 2016. In the all-new Teenage Mutant Ninja Turtles (Черепашки-ниндзя) special Half Shell Heroes: Blast to the Past (Маленькими героями-черепашками), the Heroes in a Half Shell find themselves on the adventure of a lifetime when they accidentally time travel back to the Jurassic Era! 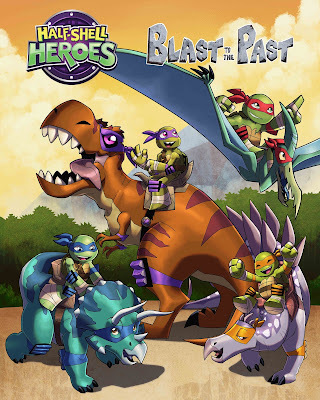 During the 2D-animated hour-long special, the Turtles encounter friendly dinosaurs from the past and dangerous aliens from the future who have a nefarious plan of their own. Using their ninja skills and having some fun along the way, the four brothers must find a way to save the day and get back to home! On Tuesday 15th November 2016, the number one kids channel will celebrate their 18th birthday with fans by launching a exclusive competition in which a lucky winner win a fantastic gift! This season, Nickelodeon will be treating viewers to the very latest brand-new episodes of SpongeBob SquarePants (Губка Боб Квадратные Штаны), Teenage Mutant Ninja Turtles (Черепашки-ниндзя), ALVINNN!!! and The Chipmunks (Элвиннн!!! и бурундуки), and The Loud House (Мой шумный). Additionally, Nickelodeon will host a special musical week between Monday 12th and Friday 16th September 2016, in which Nick will air marathons of music-themed episodes of hit Nickelodeon shows! Younger viewers are also in for a treat this season, as Nickelodeon will be airing lots of brand-new episodes of the hit Nick Jr. shows Shimmer and Shine (Шиммер и Шайн), Little Charmers (Литтл Чармерс), Dora and Friends: Into the City! (Даша и друзья), Blaze and the Monster Machines (Вспыш и чудо-машинки) and Bubble Guppies (Гуппи и Пузырики). Additionally, Nickelodeon will also be hosting a brand-new and unique interactive PAW Patrol (Щенячий патруль) project that will integrate episodes aired on television and online resources to help preschoolers learn the basics of safe behaviour! The initiative will also offer viewers the chance to win prizes! Beginning Thursday 1st September 2016, Nickelodeon will air episodes of PAW Patrol dedicated to one of three themes: safety on the road, the safe handling of fire, and safety on the water. At the same time, the projects dedicated website will feature a competition, offering parents the chance to win Nickelodeon prizes for their preschoolers! In addition to the contest, the projects dedicated website will feature educational materials - mazes, colouring books and puzzles - that will help parents to introduce their kids to the basic rules of safety. The competition will run until Thursday 20th October 2016. This September, Nickelodeon will be celebrating kids' love of play by inviting everyone to take part in the family holiday "Worldwide Day of Play" on Sunday 18th September 2016! As part of Nickelodeon's fourth annual "День, когда пора играть", Nickelodeon will be hosting special events in Moscow, Samara, Rostov-on-Don and Almaty (Kazakhstan). On this day, Nickelodeon will go off-air for six hours, encouraging children to turn off their screens and have fun outdoors with their family and friends. On the projects website, igraem.nickelodeon.ru, outdoor enthusiasts will be able to participate in competitions and find useful information on how to play. When Nickelodeon comes back on-air, viewers will be able to return to their favourite shows on Nick, plus watch high-profile premieres, among them - the brand-new show School of Rock and the new TMNT special Half Shell Heroes: Blast to the Past! Later this Autumn, Nickelodeon will launch the next phase of Together For Good 2016 (Вместе к лучшему), Nickelodeon's global pro-social initiative launched by Nickelodeon International Foundation and UNICEF in March 2016. Nickelodeon and UNICEF have joined forces to announce the start of a long-term partnership, which aims to encourage children and teach them to fight back against discrimination and inequality at home, at school and in society. Details of the new stage of the campaign will be announced later this year. The Nickelodeon library features almost 4000 episodes of animated shows, cartoons for preschoolers and TV series for the whole family. In the Autumn season, the channel will continue to expand their library with more brand-new series and episodes! С сентября по декабрь 2016 г. популярный детский телеканал Nickelodeon предложит поклонникам насыщенный осенний сезон: зрителей ожидают премьеры шоу и многосерийных фильмов, продолжение уже полюбившихся сериалов, а также новые интерактивные конкурсы. Кроме того, одним из самых ожидаемых событий осени станет традиционный праздник для всей семьи «День, когда пора играть», который телеканал четвертый год подряд организует вместе с Интерактивным ТВ Ростелеком. В новом сезоне Nickelodeon представит зрителям более 290 премьерных эпизодов, объединяющих лучший глобальный контент для детей всех возрастов, в полном соответствии с одним из ключевых принципов канала – «глокализацией». Популярность сериалов среди зрителей подтверждают рейтинги телеканала: согласно исследованию TNS – TV Index Plus – на протяжении двух месяцев подряд, в мае и в июне 2016 года, Nickelodeon лидировал по доле телесмотрения среди детей в возрасте от 4 до 17 лет. Телеканал начал радовать премьерами детей еще в августе, в преддверии нового учебного года. Разнообразила последний месяц каникул премьера сериала «Иное королевство». В центре магического сюжета – приключения принцессы фей Астрал, которая всегда мечтала жить среди обычных людей. В школе героиню захватит череда захватывающих приключений. В увлекательной манере режиссеры рассказывают юным зрителям, как найти себя и свое место в непривычных обстоятельствах. Новые серии будут ждать и поклонников сериалов «Опасный Генри», «Грозная семейка» и «Игроделы», герои которых благодаря поддержке друзей и семьи превращают любые трудности в веселые приключения. Эти и другие комедийные шоу для школьников учат зрителей настоящей дружбе, преодолению препятствий и достижению поставленных целей. учеников престижной средней школы. Благодаря своему новому учителю, пришедшему на замену, Дьюи Финну (Тони Кавалеро) ребята впервые в жизни окунутся в мир живой музыки, зажигательных мировых хитов рока и попробуют воплотить в жизнь свою мечту – создать настоящую музыкальную группу. Сразу две премьеры будут ждать зрителей в ноябре. Одна из них – развлекательная программа под рабочим названием «Битва пранков» (Rank The Prank), в которой голливудские профи в области спецэффектов снимают видеорозыгрыши вместе с детьми; авторы самого популярного ролика получат приз. Вторая ноябрьская премьера – сериал для всей семьи «Верхом» – расскажет о девочке Кэтрин: ее семья переезжает в Англию в связи с новой работой отца в элитной школе верховой езды. В этой школе героине достанется непокорная лошадь, которую не так-то просто обуздать. Занятия на этом скакуне помогут девочке победить страх перед конным спортом. Помимо телевизионных шоу зрители Nickelodeon увидят в новом сезоне многосерийный фильм «На Диком Западе». Это история о приключениях двух отважных братьев Чипа и Дейла, которые случайно отправляются в прошлое, на Дикий Запад. Героям предстоит стать настоящими ковбоями, чтобы выдержать испытание временем и суметь вернуться домой. Однако их действия в прошлом повлияли на события в будущем, и теперь они должны объединиться с друзьями из обоих времён, чтобы всё исправить. Первая серия выйдет в эфир 11 сентября, вторая – 18 сентября, заключительная часть – 25 сентября. Для детей дошкольного возраста Nickelodeon подготовил новые эпизоды популярных развивающих шоу «Шиммер и Шайн», «Литтл Чармерс», «Даша и друзья», «Вспыш и чудо-машинки» и «Гуппи и Пузырики». Отдельный сюрприз ждет поклонников «Щенячьего Патруля» и их родителей: новый уникальный интерактивный проект «Правила безопасности с Щенячьим Патрулем» поможет познакомиться с основами безопасного поведения, объединит телевизионный эфир и онлайн-ресурсы канала, а также предоставит возможность выиграть памятные призы. С 1 сентября в эфире будут выходить эпизоды, посвященные одной из трех тем: безопасность на дороге, безопасное обращение с огнем и безопасность на воде. В это же время на специальном сайте проекта будет проходить конкурс, предлагающий родителям записать видео, в котором их ребенок рассказывает о знакомых ему правилах безопасности. Автор лучшего по мнению жюри видео получит подарки от телеканала Nickelodeon. Помимо конкурса, на сайте проекта будут доступны игровые развивающие материалы – лабиринты, раскраски и головоломки, которые помогут родителям познакомить малышей с основами правил безопасности. Конкурс продлится до 20 октября. Особый сюрприз ждет поклонников легендарного шоу «Черепашки-ниндзя». Осенью зрители познакомятся с «Маленькими героями-черепашками». Любимые всеми герои – Черепашки-ниндзя – предстанут в новом образе маленьких черепашек и попадут в невероятное приключение, которое запомнится им на всю жизнь: они случайно перемещаются во времени и попадают в эру Юрского Периода. Там братья встречают дружелюбных динозавров из прошлого и опасных инопланетян из будущего, затевающих коварный план. Герои должны отыскать способ спасти мир и отправиться обратно домой. Премьера шоу состоится 18 сентября. Для детей более старшего возраста Nickelodeon подготовил новые эпизоды шоу «Губка Боб Квадратные Штаны», «Черепашки-ниндзя», «ЭЛВИННН!!! и Бурундуки» и «Мой шумный дом». 12 сентября поклонников легендарного сериала «Губка Боб Квадратные Штаны» ждет музыкальный марафон: на протяжении всей недели, с 12 по 16 сентября, в эфир будут выходить эпизоды популярного шоу, связанные с музыкой. Также в сентябре Nickelodeon приглашает всех на семейный праздник «День, когда пора играть», который вот уже четвертый год телеканал организует вместе с Интерактивным ТВ Ростелеком. В 2016 году мероприятие пройдет 18 сентября в Москве, Самаре, Ростове-на-Дону и Алматы (Казахстан). В этот день телеканал прервет свое вещание на шесть часов, приглашая детей оторваться от экранов и весело провести время на свежем воздухе с семьей и друзьями. На сайте проекта igraem.nickelodeon.ru любители активного отдыха смогут поучаствовать в конкурсах и найти полезную информацию о способах проведения досуга. После праздников, которые по традиции пройдут в одном из городских парков, зрители смогут вернуться к любимым шоу на Nickelodeon. Именно в этот день на телеканале состоятся громкие премьеры, среди которых – сериалы «Школа рока», «Маленькие герои-черепашки». В октябре зрителей ждет еще одна премьера – сериал «Королевская Академия» (Regal Academy): В центре сюжета этой волшебной сказки - всем известны добрые герои любимых с детства сказок. К сожалению, они стареют, и, чтобы будущие поколения узнали об их приключениях, они решили объединиться и создать школу – Королевскую Академию. Главная героина сеиала – Роуз – самая обыкновенная девочка, которая обожает сказки. Ей посчастливилось быть внучкой Золушки и отправиться в Королевскую Академию, где она окунётся в мир чудес и волшебных превращений. Помимо этого, в конце осени начнется новый этап глобальной социальной кампании «Вместе к лучшему» (Together For Good), которая была запущена Nickelodeon International и фондом ЮНИСЕФ в марте 2016 года. Компании объединили усилия и объявили о старте долгосрочного партнерства, цель которого – воодушевить детей и научить их давать отпор дискриминации и неравенству дома, в школе и в обществе. Подробная информация о новом этапе кампании будет анонсирована позднее. В библиотеке Nickelodeon – почти 4 000 эпизодов анимационных шоу, мультфильмов для дошкольников и сериалов для всей семьи. В осеннем сезоне телеканал продолжит пополнять эфир премьерами и новыми сериями популярных шоу. Additional sources: BBC Media Centre, Google.co.uk, Wikipedia (I, II). Follow NickALive! on Twitter, Tumblr, Google+, via RSS, on Instagram, and/or Facebook for the latest Nickelodeon Russia News and Highlights! The online British and Irish TV guide website Radio Times is reporting the exciting news that Nickelodeon UK & Ireland and Nickelodeon HD UK, the number one commercial kids TV network in the UK, will premiere Nickelodeon's brand-new blockbuster crossover event, "Danger & Thunder", in which Max and Phoebe Thunderman from The Thundermans meet Kid Danger and Captain Man from Henry Danger, on Friday 9th September 2016! 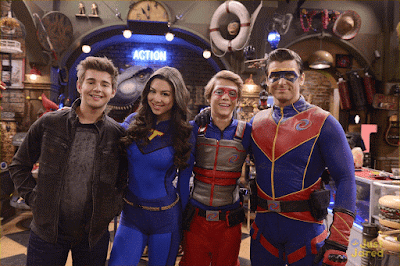 Nick UK & Eire/HD will premiere the all-new Henry Danger/The Thundermans crossover special in two parts, with "Danger & Thunder, Part 1" airing at 4:59pm, and "Danger & Thunder, Part 2" airing straight after at 5:30pm. Follow NickALive! on Twitter, Tumblr, Google+, via RSS, on Instagram, and/or Facebook for all the latest Nickelodeon UK, Henry Danger and The Thundermans News and Highlights! The online British and Irish TV guide website Radio Times is reporting the exciting news that Nickelodeon UK & Ireland and Nickelodeon HD UK, the number one commercial kids TV network in the UK, will start to premiere and show School of Rock, Nickelodeon's brand-new live-action musical comedy series inspired by the hit movie of the same name, from Friday 9th September 2016 at 7:00pm! 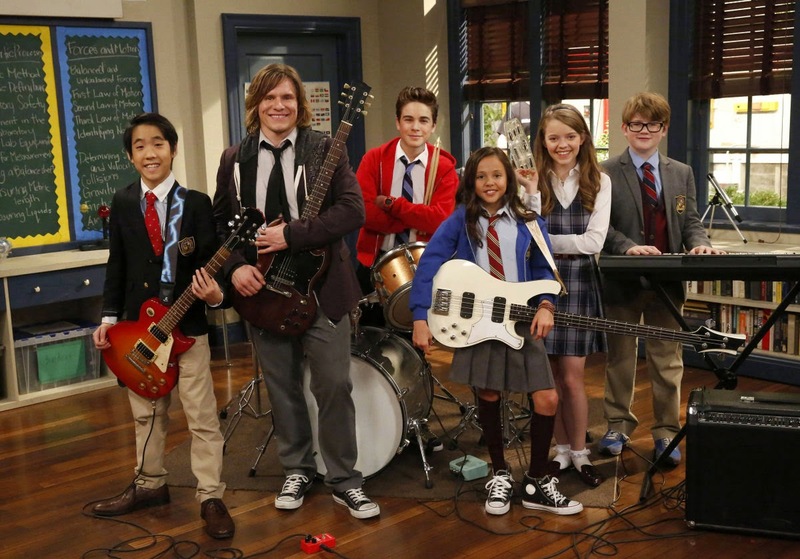 The gifted students of William B. Travis Prep School are in for the lesson of a lifetime in Nick's all-new show, School of Rock! When their teacher suffers an unfortunate skateboarding spill, Mr. Finn, a down-on-his-luck musician, steps in. Little do the group of overachieving rule-abiding students know - their new substitute actually rocks! With their musical talents combined, this class of classically-trained musicians forms a band complete with headbanging beats and face-melting solos. But if they want to live the rock star life, they'll have to band together, take risks and rock out to reach new heights all whilst keeping the whole thing a secret. In the series premiere of School of Rock, "Come Together", the class are introduced to their substitute teacher Mr. Finn, who quickly gives his students nicknames! School of Rock stars Lance Lim (Growing Up Fisher) as Zack, Aidan Miner (Nickelodeon Creative Lab's Legendary Dudas (formally Homeroom)) as Lawrence, Ricardo Hurtado as Freddy, Jade Pettyjohn (Henry Danger) as Summer, Breanna Yde (The Haunted Hathaways) as Tomika, and Tony Cavalero (Splitting Adam) as Mr. Dewey Finn. To celebrate Nickelodeon UK & Ireland debuting School of Rock on Friday 9th September 2016, nick.co.uk has launched Nick UK & Eire's official School of Rock show website, which features information about Nickelodeon's brand-new comedy series, character bios for Tomika, Freddy, Zack, Summer, Lawrence, and Mr. Dewey Finn, plus super sneak-peek previews, including a first-look at the School of Rock theme song, and a fantastic behind-the-scenes photo gallery! Follow NickALive! on Twitter, Tumblr, Google+, via RSS, on Instagram, and/or Facebook for the latest Nickelodeon UK and School of Rock News and Highlights! NEW YORK – Aug. 30, 2016 –Nickelodeon today announced the introduction of NickMusic, a 24-hour music video destination for kids. Formerly known as MTV Hits, the television channel will be re-branded NickMusic beginning Sept. 9, 2016, and will feature a Nickelodeon-curated lineup of music videos that give kids their favorite Top 40 hits from breakout artists and ever-popular hit-makers. NickMusic will feature a 24-hour schedule of music videos featuring a variety of kids’ favorite artists from across all genres. Additionally, coming soon to the channel will be artist-hosted programming blocks; branded segments like “Videos We Heart,” “Pop Playback” and “Bumpin’ Beats;” as well as long-form concert specials and series, including TeenNick Top 10. NickMusic expands upon Nickelodeon’s music offerings, including NickRadio, where listeners get “All the Hits, All the Slime,” on iHeartRadio--Clear Channel’s industry-leading digital radio platform. NickRadio features today’s hit music, guest DJ stints by Nickelodeon stars, Nick-branded entertainment and celebrity interviews, all which reflect Nickelodeon's irreverent personality and surprise-filled brand of humor. Visit nick.com/jagger for more Jagger Eaton's Mega Life! Follow NickALive! on Twitter, Tumblr, Google+, via RSS, on Instagram, and/or Facebook for the latest Nickelodeon and Jagger Eaton's Mega Life News and Highlights! New series coming to YTV Canada on Monday September 5th and Nickelodeon USA very soon! - Ride follows the adventures of Katherine “Kit” Bridges when she and her Dad, Rudy, move to England for his new job at Covington Academy, an elite equestrian boarding school. Life at a new school is never easy – particularly when you are afraid to ride – but Kit will be able to handle any challenge she faces thanks to her new friend, TK….who just so happens to be the most stubborn and difficult horse at the Academy! More Ride: FULL Episode of RIDE! | Hippophobia & Ophidiophobia | Canada Exclusive Sneak Peek! | YTV! Follow NickALive! on Twitter, Tumblr, Google+, via RSS, on Instagram, and/or Facebook for the latest Nickelodeon Canada and Ride News and Highlights! Check out the awesome highlights from the first and second days of Nickelodeon Slime Fest 2016 Espana here on NickALive!. Follow NickALive! on Twitter, Tumblr, Google+, via RSS, on Instagram, and/or Facebook for all the latest Nickelodeon Spain and SLIME FEST 2016 News and Highlights! Die Brot-Piloten - Balloons; Seht dabei zu, wie diese Brot-Piloten-Figur mit Ballons zum Leben erweckt wird! Harvey Beaks - Ballons; Seht dabei zu, wie diese Harvey Beaks-Figur mit Ballons zum Leben erweckt wird! Rabbids - Ballons; Seht dabei zu, wie diese Rabbids-Figur mit Ballons zum Leben erweckt wird! Cosmo & Wanda - Ballons; Seht dabei zu, wie Timmy Turner von Cosmo & Wanda mit Ballons zum Leben erweckt wird! Sanjay & Craig - Ballons; Seht dabei zu, wie Sanjay & Craig mit Ballons zum Leben erweckt werden! Teenage Mutant Ninja Turtles - Ballons; Seht dabei zu, wie Donnie mit Ballons zum Leben erweckt wird! SpongeBob - Ballons; Seht dabei zu, wie SpongeBob mit Ballons zum Leben erweckt wird! Watch more of your favorite shows and stars on Nickelodeon, Nicktoons, Nick Jr., TeenNick and The Splat! Santa Monica, Calif.–Aug. 29, 2016–Nickelodeon and 15-year-old skateboarding phenomenon Jagger Eaton give kids a glimpse into the lives of fearless, world-class athletes in the all-new, action-packed docu-series, Jagger Eaton’s Mega Life, premiering Friday, Sept. 9, at 7:30 p.m. (ET/PT). The 20-episode series follows Eaton as he immerses himself in the world of his sports idols - Chris Bosh, Leticia Bufoni, Bubba Wallace, Larry Fitzgerald, Erika Lang, to name a few, who are pushing their limits and inspiring others to do the same. Click here for a sneak peek of Jagger Eaton’s Mega Life. Along his action-packed journey, Eaton will spend time in the shoes of pro-athletes and face his fears, while learning the demanding ways they train and test themselves to be the best of the best. Some of his experiences include cage-free diving with sharks in the Bahamas; Heli-boarding down a 10,000-foot mountain in Alaska; Fat-tire biking down Wyoming’s treacherous slopes; and jousting head-to-head on horseback against a world champion jouster. But behind the big tricks and extreme sports accolades is an everyday 15-year-old kid, grounded by his friends and family who are always by his side. Throughout the season, Eaton will also meet up with Miami Heat™ forward Chris Bosh, Detroit Pistons™ center Andre Drummond, Olympic snowboarder Louie Vito, NASCAR drivers Harrison Burton and Bubba Wallace, professional diver Liz Parkinson, hip-hop dance crew Jabbawockeez, and more. The premiere episode of Jagger Eaton’s Mega Life finds Eaton preparing for a huge skate contest in his hometown of Phoenix, Ariz. To prep for the competition, Jagger meets up with Arizona Cardinals™ wide receiver Larry Fitzgerald and Bellator MMA fighter Keri Taylor-Melendez for some advice from the pros. Leading into to the series premiere, Eaton will guest star on Nick’s viral video show Crashletes, hosted by New England Patriots™ Rob Gronkowski, at 7:00 p.m. (ET/PT). Crashletes season two premieres Friday, Sept. 16 at 7:00 p.m. (ET/PT). Hailing from Mesa, Ariz., Eaton is one of the most progressive and versatile skateboarders the sport has ever seen. His ability to skate and compete on anything from the streets to the mega ramp puts Jagger in a category of his own. In 2012, at 11 years old, Jagger set the Guinness World Record as the youngest ever X Games competitor when he competed in the Big Air competition against industry veterans. To join in the social conversation use the official hashtag #megalife and follow Nickelodeon’s Facebook, Twitter and Instagram pages. Jagger Eaton’s Mega Life is created by Rob Dyrdek and Shane Nickerson of Superjacket Productions (Crashletes, Fantasy Factory, Ridiculousness). Superjacket Productions is an all-media production company formed by Rob Dyrdek and Shane Nickerson in 2013. Building upon the continued success of shows like Rob and Big, Rob Dyrdek's Fantasy Factory, Ridiculousness, and the comedic cooking competition show, Snack-Off, Superjacket continues to apply their unique comedic sensibility and years of production experience to each new project they take on. Making comedy cool, developing improvised reality sitcoms, and creating fresh takes on proven formats is the signature style of Superjacket. Rob Dyrdek's ten plus years as on-air MTV talent, his integral role as executive producer and creator and his unparalleled experience as an entrepreneur and professional athlete, coupled with Shane's extensive comedy writing and performing background and his fifteen years of producing reality TV, including every Dyrdek series, makes Superjacket one of the most unique and dynamic new production companies in Los Angeles. Follow NickALive! on Twitter, Tumblr, Google+, via RSS, on Instagram, and/or Facebook for the latest Nickelodeon, Jagger Eaton's Mega Life and Crashletes News and Highlights! To celebrate Nickelodeon USA premiering the brand-new Regal Academy episode "Astoria and the Beanstalk" on Saturday 3rd September 2016 at 8:00am, Nick USA has unveiled a magical sneak peek preview of the all-new episode, which you can watch in the fantastic online streaming video clip here on nick.com/regal! In the brand-new Regal Academy episode "Astoria and the Beanstalk" (#104), Rose and Hawk are excited for their first day of heroism class where they are tasked with retrieving a golden egg from the giant's castle! In Nick's new super sneak peek, "Giant Worm Attack! ", while Travis gets everyone stuck in the giants' trap hole, Astoria helps them get out by extending her long hair! Follow NickALive! on Twitter, Tumblr, Google+, via RSS, on Instagram, and/or Facebook for the latest Nickelodeon and Regal Academy News and Highlights!